The Screen Composers Guild of Ireland (SCGI) is the newly established representative body for professional Irish and Irish based composers who provide original music for use in film, TV, animation, video games and advertising content. SCGI brings together, for the first time, some of Ireland’s most prominent and active composers for screen with the aim to promote and increase visibility for this key creative sector. 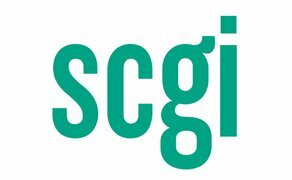 SCGI seeks to become an active voice and conversation partner within the Irish audiovisual industry and it is welcomed by an existing network of audiovisual guilds in Ireland including SPI, SDGI and the screen writer’s guilds. SCGI is also a member of the European composer alliance – ESCA, and are contributing to the international conversation on protecting and promoting the creative industries Ireland. Bringing together a wealth of experience and talent in its membership, SCGI offers an opportunity for screen composers to contribute to the development and growth of their own sector both here and internationally and to contribute to the ambition to grow the audiovisual industry in Ireland and deliver a global reputation for excellence in media production. SCGI will offer skills and development resources to both members and wider industry, seeking to build capacity in the sector and enhance the use of music for screen by productions. Original music for screen is a crucial creative element in the production of new media content. Music plays a vital role in creating the narrative, delivering emotional cues, informing on genre, era, location, giving pace and exhilaration to scenes or arousing fear and anticipation. Original musical score delivers a custom tailored musical element to an audiovisual production, with its own distinct IP value and cultural capital. Original score can range from one composer creating a full soundtrack using music creation technology, to a composer working with a full orchestra to deliver powerful performances which can resonate well beyond the film or production. Composers for screen generate employment opportunities for performers, orchestrators, sound engineers, recording studios and deliver culture capital and economic return from the creation of musical works of lasting importance. Ireland has a wealth of skilled musical talent working in this sector, composer members of SCGI work in all genres of music and deliver to all areas of audiovisual production. SCGI aims to promote and make visible the work of creators in this area, to promote the contribution and value of music as a creative element and to improve the status and rights of composers working to deliver music to the audiovisual sector. A key objective of SCGI is to contribute in a positive and proactive manner and to create relationships of value with funders, broadcasters, producers, industry stakeholders and Government departments in Ireland and to promote and facilitate the growth of Irish composers internationally. Niall Byrne, Bill Whelan, Stephen Rennicks, Darren Hendley, Daragh O Toole, Rod Morris, Brian Whelan, Greg Magee, Mark Murphy, Rori Coleman, Michael Fleming , Stefan French, Denis Kilty, Liam Bates, Ken Touhy, John Mc Phillips, Maurice Roycroft, Kevin Whyms, Denis Clohessy, Ivan Fitzpatrick, Giles Packham, Ray Harman, Anna Rice, Brian Crosby, John G Walsh, Sarah Lynch, Hugh Rodgers, Stephen Lynch, Nick Seymour. Brian Crosby (Chair), Giles Packham, Ray Harman, Anna Rice, John G Walsh, Sarah Lynch, Hugh Rodgers. SCGI CEO is Sarah Glennane a music and audiovisual industry professional who authored the Music for Screen in Ireland report and has been instrumental in the setting up of SCGI.